We have all spent hours carefully constructing our professional resumes in hopes of sending it through our dream job’s online application process and getting noticed. Yet, sometimes your resume isn’t enough to win over recruiters and hiring managers. Instead of letting your resume slip through the cracks, take a step towards getting noticed with the newest trend in job seeking: a candidate portfolio. Candidate portfolios have long been in existence for those working in creative fields such as photography or design. It is regarded as a space to showcase your skills that cannot be translated to brief sentences on paper (i.e. sketches, photographs, writing samples). However, in recent years, candidates from all fields of work have found that they too have skills which are not properly displayed through the traditional resume. A candidate portfolio has become an exciting and useful addition to anyone’s resume regardless of the industry. 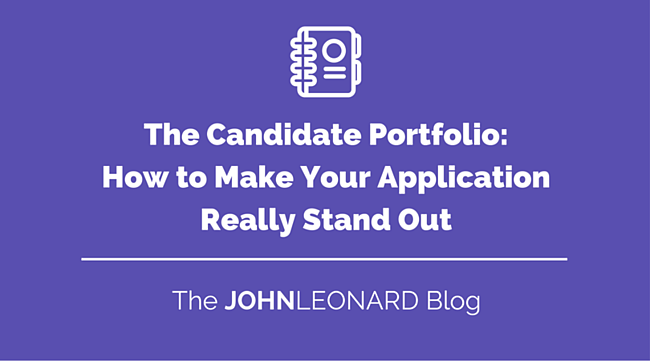 Read on to have all your questions about candidate portfolios answered! What exactly is a candidate portfolio? A candidate portfolio is made up of any material used in an application or an interview which supplements your resume and cover letter. Most online job applications provide an area to submit additional documents which is the perfect place for your portfolio. Additionally, bringing a portfolio to an interview adds something memorable and valuable to your time spent with a potential employer. It is important to note that there is no replacement for a polished resume and cover letter. You might have an excellent portfolio-but no one will look at it without a resume! What do I put in my candidate portfolio? What if I just graduated? If you are in your last year of college or have just graduated are now looking for a full time job, your portfolio may be a bit different than the examples above. Before taking on your first full-time job, your portfolio will want to consist of transcripts (only if you received above a 3.0 average GPA and did well in major courses), projects which showcase an understanding of your major, letters of reference or recommendation, and items produced at previous internships. Even though you recently graduated and haven’t necessarily had a full-time job yet, you still have completed important work that you can display to potential employers. How do I put a physical portfolio together to bring to interviews? The easiest way to put together a physical portfolio is by using sheet protectors and a binder. If you are in a field which allows you to apply for several different job functions this may be a good option because it enables you to add and remove information as you please. However, you may also have your portfolio bound at a print shop; this will look more professional and allow interviewers to review the portfolio at a later time without having to hold onto an entire binder. If you are looking to take your physical portfolio one step further and wow your interviewer, consider having it printed and bound by a portfolio site (like this one). Your portfolio should be 10 pages or less (unless you are in a creative field) to keep things succinct and to the point. Providing a candidate portfolio can give insight to potential employers about your true value, something that can be easily overlooked with a traditional resume. Just remember that if a certain piece of work or information does not add meaningful content to your candidate profile, omit it from your portfolio! Unless you are applying to a job with a very standard job function, both your electronic and physical portfolio should be tailored to each potential job to which you are applying. 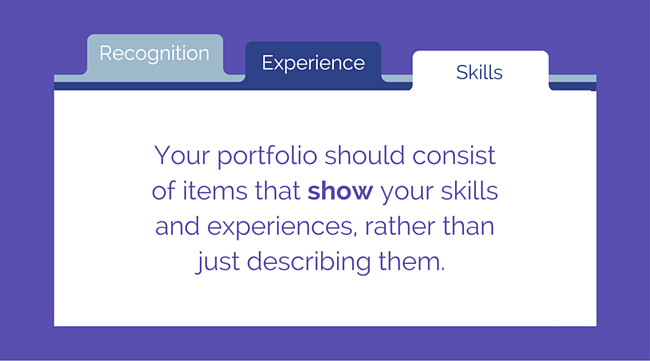 Before submitting your next application or arriving at your next interview, be sure to take time to compile your best work in a comprehensive portfolio. Want to receive even more advice on how to improve your application? Subscribe the the JOHNLEONARD blog below to stay up-to-date on the latest trends and tips!